Professor of Biology Larry Allen was recently featured in a long-form profile by UC Santa Cruz ScienceNotes, which delves into Allen’s long history spent studying the life cycle of the giant sea bass. Allen and a hand-picked crew of fishers hoped to land several giant sea bass unhurt and alive. Once he had captured the giants, Allen hoped he could entice the fish to sing. If confirmed, the mating song of the giant sea bass would begin to reveal their mysterious world, and aid in the species’ tenuous recovery from the brink of extinction. 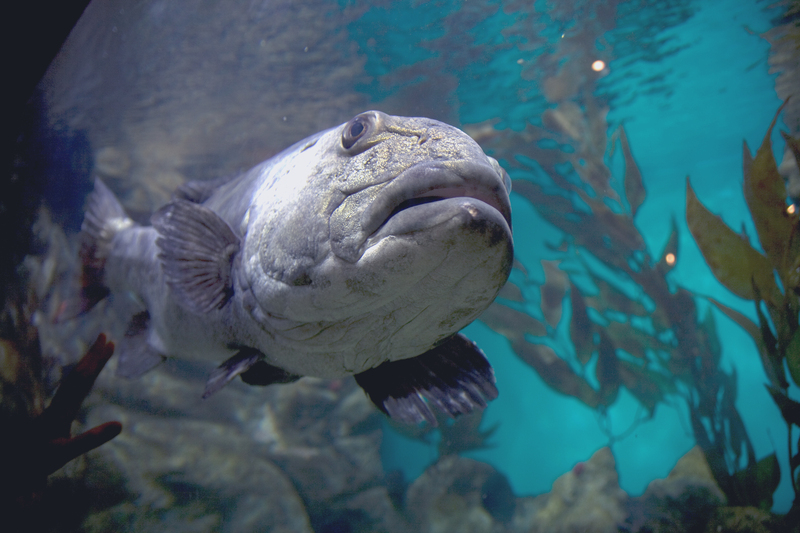 A full-grown giant sea bass is the king of the kelp forest ecosystem, eating anything that fits in its cavernous mouth. As top predators, these giants help control the populations of the fish and crustaceans they eat, preventing any one species from running amok. The giants, formerly known to fishers as black sea bass, lurk among the sun-dappled kelp beds of the California coast from Monterey all the way into Mexico, though they are seen only rarely north of Point Conception near Santa Barbara. The full article features beautiful illustrations by Laurie Sawyer, and an audio interview with author Alex Fox.